Most of our current users already know and use this, but I can see that more and more come here looking for specific information on how to achieve this type of x and y-axis motion. 2) place where you would want to have that circular motion have its center (in terms of normal rotation, it's x and y position). 3) how far from that center position do you want your element to move (if you will want to create an elliptical movement you should find out separate x and y-axis value for this one). Now how to calculate x and y position of circular motion? "t" is the time from point 1. "xa" and "ya" in most cases are equal 0, but if you would want to modify your rotation by having it rotated a bit more/less, here is where you put that modification (eg. : if for time you will use seconds and under xa and ya you will put 90 then at full minute (0 seconds) it will point at 15 seconds instead). "xr" and "yr" are where you put numbers from point 3 - your rotation's radius (you can use exact same amounts to have a normal circular motion, or different ones in order to have elliptical movement). "x" and "y" is where you put your rotation's center, from point 2. How do I move the Animated starfish towards center? Excellent presentation and animation, Mellin. Extremely well done! I'm in it right now, so at least I still fully remember them. This description helped me tremendously. I've been searching for an explanation of an orbiting object, but the documentation wasn't very descriptive. I had a thin line I wanted to use as a hand orbiting on the outside. This required the extra step of rotating the line as the orbit changed as well. One thing I did note is that the rotation is counterclockwise. I was able to correct that by adding a negative sign. As you can see from the animation preview that is true - sin and cos without "-" rotates counterclockwise. It's good to see that people can use my scribbles for something! Usually when I'm trying to figure something out, I can find an old post of yours to get me back on track. Maybe between the two of us we could rewrite the documentation section to be more describe and informative. I've been doing it for some time now. Thanks guys for this thread. I just wasn't coming right and this sorted me out right away. Also the rotation bit was mighty helpful. Thanks for this! My math really is terrible but goofing around with this equation really helped me do what I was wanting to. I just used the "plug in numbers until you understand what affects what" technique! I thank you for adding those tags to titles, but the change you did to this topic's title literally changed the sense of what was in it. I already repaired it, but could you contact me next time you wan to change the title of my topic and not only add a tag before it? Sure thing. But Circular Motion (Not Rotation) is mathematically imprecise. 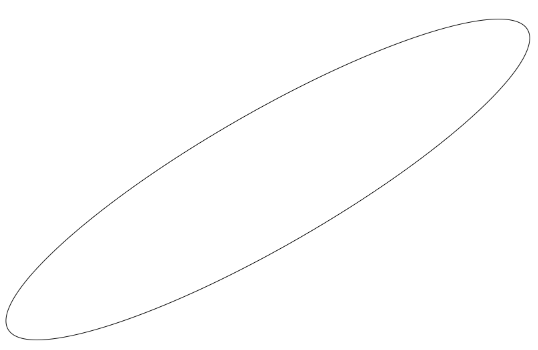 btw this is neither multivariable nor conic sections... it's sinusoidal motion powered by trigonometric functions. Those people will not search "sinusoidal motion powered by trigonometric functions", because half of them don't know those words, they will search something like "Circular Motion - Not Rotation". 1/3 don't know those words, 1/3 knows them and 1/3 jokes about them regardless. So, after a bit of looking around and remembering the good ol' days, I created a tutorial for elliptical motion. Check it out, let me know what you think.